This entry was posted on December 22, 2015 by Texas Safety Supply. For most successful companies, employees and workers are an asset. Employees who are engaged in construction and manufacturing jobs are bound by various forms of risks. 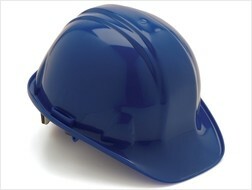 Protective accessories like Hard Hat plays an effective role in preventing accidents. The primary purpose of Hard Hats is to provide protection to the head while working on construction site. In the absence of its use, the head may encounter injuries due to concrete falls, accidental head bangs, electric current and high heat levels. There are few things you need to know about Hard Hats that are commonly asked worldwide and if you need to buy a Hard Hat in Dallas Texas Use of Hard Hats It is required to protect the head in following situations. 1. The loose objects or concrete might fall on the head 2. Electrical wires or electric conductors might accidentally touch the head. 3. The head might bang somewhere accidentally. 4. The high level of heat on head and face might cause health hazards. What certification to check while buying? In America, the Hard Hats are certified with American National Standards Institute (ANSI) standard. The Z89.1 is the most recent version. Some Hard Hats are also certified with Canadian Standards Association (CSA). Hats with these certification levels are considered suitable for industrial purposes. For example, MSA Hard Hats are ANSI/ISEA Z89.1-2009 certified. The certification is further categorised in types and classes. Type 1: These hats have the specific purpose of protecting the head from blow impact on top of the head. Type 2: These Hats provides resistance against blow impacts on top and sides of the head. Class C: These Hats do not provide protection against the current. Class G: These Hats provide protection against low voltage conductors only. 2200 volts is the tested value. Class E: Hats in this class provides protection against high voltages. Various MSA full brim and Cap Type Hard Hats provide this certification. Durability and Replacement: ANSI and CSA certified hard hats are considered quite durable. The work environment, the abuse like chemical and temperature exposures, handling and maintenance are the decisive factors in its replacement. It is recommended to replace the hat if it has met with a huge impact even when it is not damaged. The suspensions and shells should be replaced as per the manufacturer's instruction. 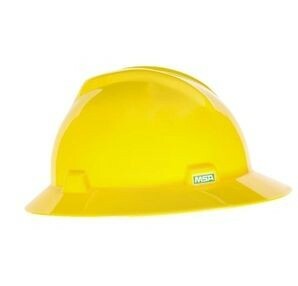 Hard Hats are considered the must have accessory in all the construction based and industrial jobs. Every industry should recognize the safety needs of their workers and invest in the protective industrial gears.